Our History | Norwest Construction Inc.
Norwest Construction Inc. was founded in 1978 by Tim Kudlacik and is headquartered in South Beloit, Illinois. After working in the Rockford area asphalt industry for years, Mr. Kudlacik knew he could provide higher quality work at a more competitive price so he branched out on his own to establish Norwest Construction Inc. 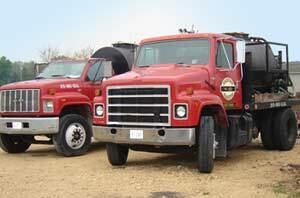 Since then, Norwest Construction Inc. has grown into one of Northern Illinois and Southern Wisconsin’s most versatile and trusted full service paving providers. Whether your requirements are new asphalt construction, maintenance, or replacement of existing asphalt, we have the experience and expertise to handle all your blacktop and concrete needs. Norwest Construction’s success is due to its commitment to quality, professional sales, above-and-beyond service, and our loyal clients.